Jay Bharat Maruti zoomed 20% to Rs 523; also its lifetime high on BSE in intra-day trade, after the company reported a robust 72% jump in net profit at Rs 20.75 crore for the quarter ended March 2017 (Q4FY17) on back of strong operational performance. 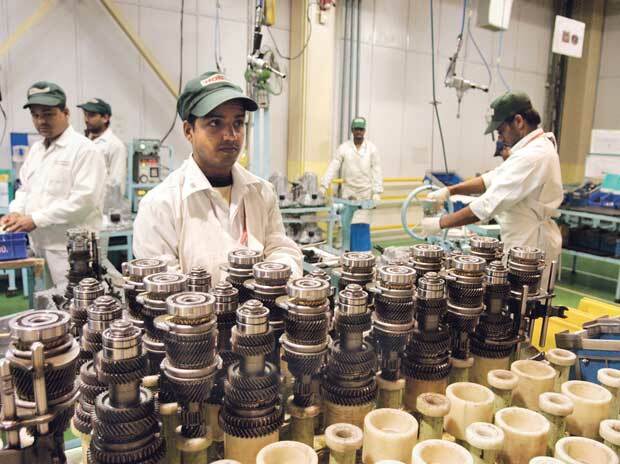 The auto ancillary company had logged profit of Rs 12.06 crore in a year ago quarter. Revenues from operations grew 42% to Rs 550 crore from Rs 388 crore in the corresponding quarter of previous fiscal. The operating profit (EBITDA) gained 24.2% at Rs 42.1 crore. EBTIDA margin however, decline to 7.7% from 8.7% in previous year quarter. For the financial year 2016-17 (FY17), the company reported 35% growth in net profit at Rs 53.77 crore on back of 16.7% rise in operational income at Rs 1,733 crore over the previous year. The board of directors recommended a dividend @ 50% i.e. Rs 2.5 per share (on fully paid up equity share of Rs 5/- each) for the year ended 31st March, 2017. At 11:39 am; the stock was up 17% at Rs 509 on BSE as compared to 0.23% rise in the S&P BSE Sensex. The trading volumes on the counter jump multiple-fold with a combined 1.58 million shares changed hands on the BSE and NSE so far.